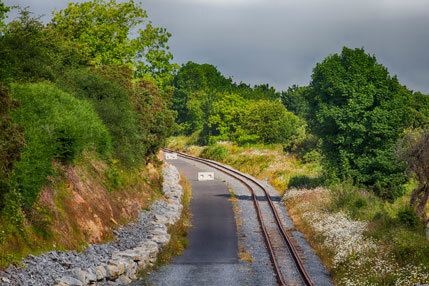 Waterford Greenway is a fantastic showcase of the awe-inspiring landscape within Waterford and the Munster region. 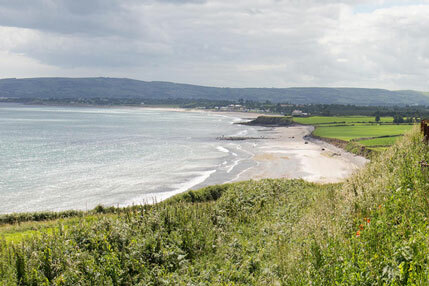 There are over 13 greenways that form the entire route, which are unique to the county of Waterford. Along the route, you can admire the beautiful natural landscape and visit the rich historical structures and buildings that spring up on your journey. Take in some of the wonders of Ireland's rich heritage and culture with mesmerizing waterfalls, historical railways and castles still in use today. 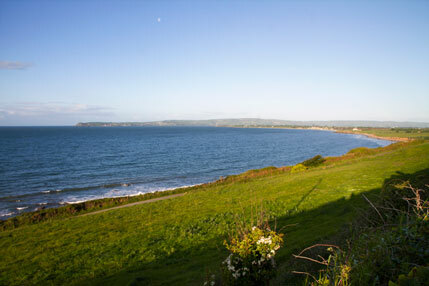 Walton Park is situated in Abbeyside, Dungarvan. 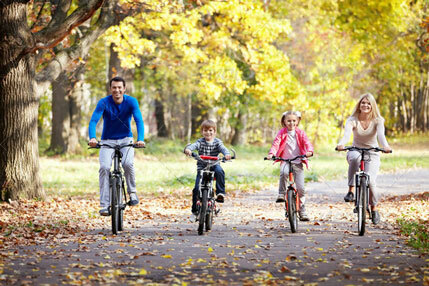 It's noted as an outdoor recreational area with a children's park attached. Walton Park is dedicated to Ernest Walton - the only Irishman to have won a Nobel Prize in science. He also has a building in WIT named in his honour. Walton was famous for his work in nuclear physics and was one of the first physicists to split the atom. Dungarvan is the administrative headquarters for County Waterford. It is located on the south coast of Ireland. Dungarvan's landscape has historically provided ideal living conditions for horses, mammoths and giant ground sloths. 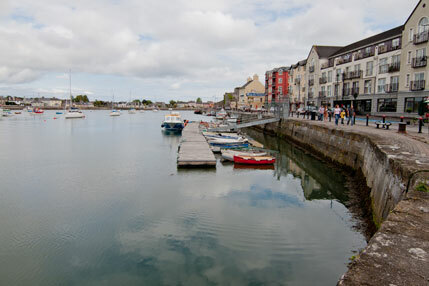 The town of Dungarvan as it's known today came into existence during the Norman period. One of the most famous sites in Dungarvan is the Dungarvan Castle. 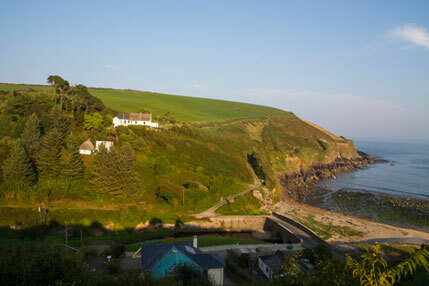 Founded in 1185, it allowed ships to be anchored and linked East and West Waterford. Dungarvan has many different activities to keep you entertained - cinemas, golf clubs, museums, cycling, fishing and many other opportunities are available. Durrow was a small railway station on the Waterford to Dungarvan line. Opened in 1878 by the Waterford Dungarvan & Lismore Railway, it ultimately became the main Cork to Rosslare line, before closing in 1967. Durrow Train Station is now derelict, but the station building and signal cabin are still standing (if a little worse for wear). 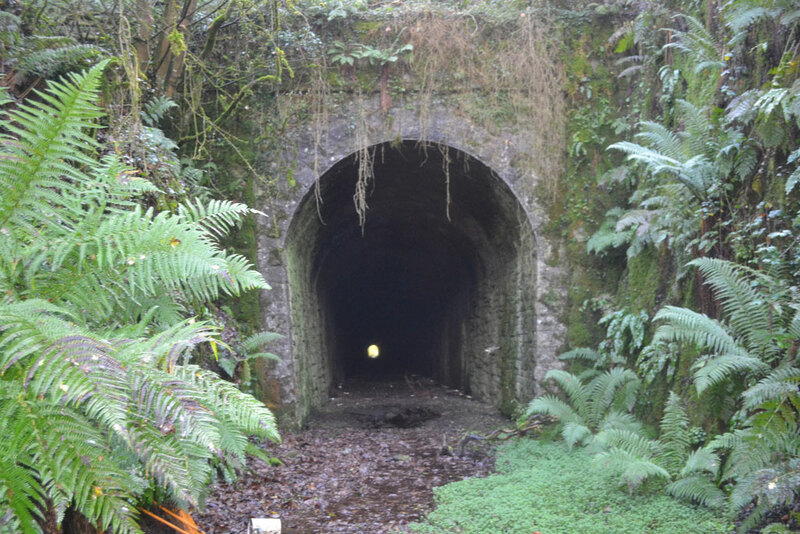 Durrow tunnel is joined by two viaducts. The tunnel itself stretches 382 metres and is also known as the Ballyvoyle tunnel. Clonea Strand is a beautiful, long sandy beach located in the south east of Dungarvan. It is over a mile long. Incredibly popular with locals, it is surrounded by stunning views of the enveloping scenery. Over the summer months, it is patrolled by lifeguards to ensure locals' and tourists' safety alike. Clonea beach can be accessed by driving from Dungarvan east on the R675, towards the coast. It is signposted from the R675. Dungarvan Bay is impossible to miss once you arrive in Dungarvan! There are so many fun activities to try at the harbour including bird watching and sailing the charter boats on the famous whale and dolphin spotting trips. Looking for something out-of-the-ordinary? Try one of the available dive charters and witness one of the local WW1 wrecks first-hand or gaze at the stunning underwater reef rocks. 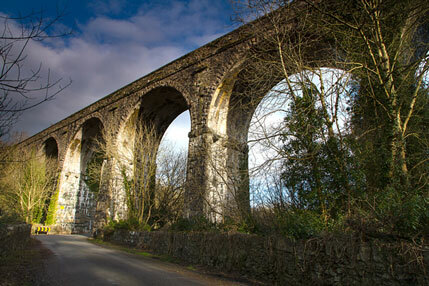 Ballyvoyle viaduct is located over the steep ravine river Dalligan near Dungarvan, Waterford. It was built in 1878 for the Waterford, Dungarvan and Lismore railway. In August 1922 the Ballyvoyle viaduct was demolished by anti-Treaty Irregulars during the Civil War. With the viaduct's integral place in local history, it is very accessible and well worth a visit. The ravine and road bridge nearby are both very beautiful. The Durrow viaduct is located near Dungarvan in County Waterford. It was built in 1878 for the Waterford, Dungarvan and Lismore railway. The name Durrow linked to a building to the north called Durrow House. The old road bridge adjacent to the Viaduct is also called Durrow Bridge. The Durrow viaduct is very easy to access and refreshing to walk over. This part of Ireland is not to be missed, especially if you are travelling along the south coast. The Kilmacthomas Viaduct, located in Kilmacthomas, Waterford, is an elegant build, designed and planned by James Otway in 1878. The construction is squared-rubble limestone, attesting to the high-quality stone masonry of the time. The viaduct is of particular significance as a reminder of the development of the great southern and western railway line by the Waterford, Dungarvin and Lismore Railway Company. 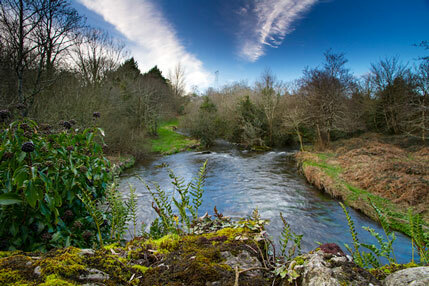 Although the viaduct is now closed, it still provides stunning views and adds to the beauty of Kilmacthomas's landscape. The Comeragh Mountaines are located in the centre of County Waterford. Consisting of over 11 mountains, it's highest point is 792m high. A favourite spot for hill walkers, explorers and mountain climbers to explore. Exploring the mountain areas allows you to see striking views over long distances, including beautiful waterfalls. The historic Crotty Lake is also located in this region, providing a perfect spot for school trips and photographers alike. 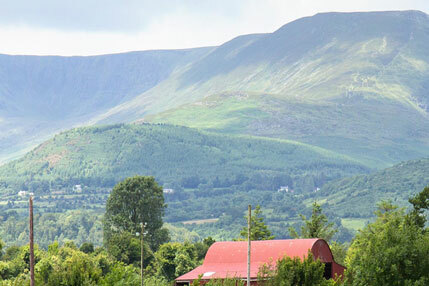 The Suir Valley Railway Company runs along 12 kilometres of the previously-abandoned Waterford to Dungarvan line.Taking the track along the Suir valley allows you to experience the beauty of the river, mountains and rolling farmland. The Suir Valley train allows you to explore the popular Mount Congreve Gardens and the recently discovered site of the viking settlement at Woodstown. There is seating available both indoors and outdoors on-board, with a variety of refreshments available to purchase. Waterford Castle is an incredibly popular destination in Waterford City. A private rural retreat in the middle of the city, it sits on its own 'Little Island' that is accessible via mini-ferry only. The castle itself is a beautiful Gothic style, being rebuilt in 1895. 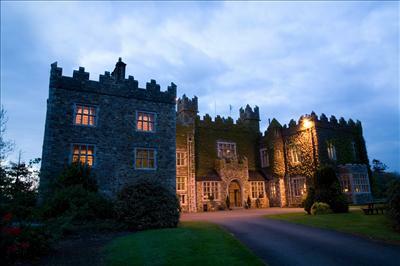 The castle is well-regarded for its peaceful ambience and award-winning restaurant. Mount Congreve was built in 1760 by local architect John Roberts, who designed and built most of the 18th-century public buildings in Waterford. 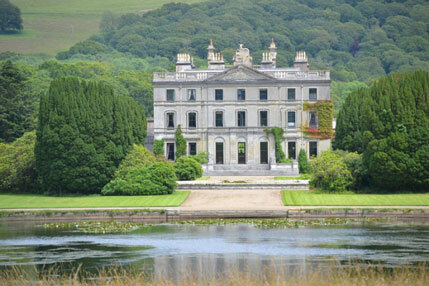 Mount Congreve is located near Kilmeaden Village in County Waterford. The gardens of the estate is the main feature of Mount Congreve as it is internationally recognised for its many rare species of plants and plant nurseries. The gardens entire collection consists of more than 3,000 different trees and shrubs. The gardens are open to the public Thursday to Sunday between 10:00 a.m. to 5:30 p.m., with an admission fee of 5 euros for adults. 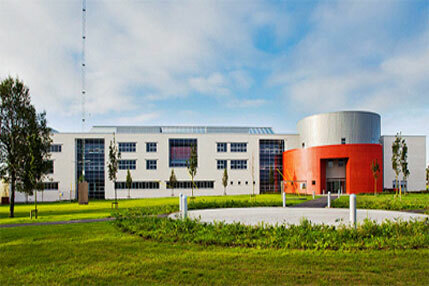 Waterford Institute of Technology is a third level education institute that opened its doors in 1970. It currently caters to over 10,000 students and 1000 staff. WIT offers courses in over six schools of study including Business, Engineering, Science, Health Science, Education and Humanities. The institute has working connections with many different countries around the world, allowing students to go abroad to gain work experience or study further. 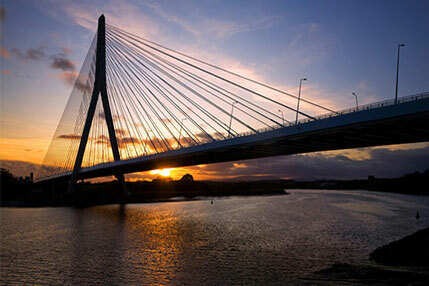 The Suir Bridge was built as part of the N25 Bypass and opened to traffic on the 19th October 2009. The Suir Bridge has the longest single bridge span in the Republic of Ireland with a length of 230 metres. It is five times the width of the Liffey Bridge at O'Connell Bridge in Dublin. Dungarvan Bay is impossible to miss once you arrive in Dungarvan! There are so many fun activities to try at the harbour including bird watching and sailing the charter boats on the famous whale and dolphin spotting trips. Looking for something out-of-the-ordinary? Try one of the available dive charters and witness one of the local WW1 wrecks first-hand or gaze at the stunning underwater reef rocks..